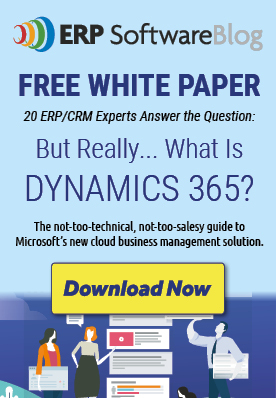 Microsoft Dynamics ERP products can be deployed On-Premise, Hosted, or On-Demand via subscription. Please contact one of these partners for additional details. These are companies that provide infrastructure to host Dynamics ERP products. These companies collaborate with the Dynamics ERP partner of your choice to provide a complete solution. This is a list of Dynamics ERP partners that manage the infrastructure to host Dynamics ERP products and provide Dynamics ERP services for a complete hosted or on demand solution for clients. Dynamics ERP partners that have proven experience working with outside data centers to provide a complete hosted or on demand Dynamics ERP solution to clients. View Profile Data Resolution is dedicated to delivering ERP cloud services. Microsoft Dynamics ERP hosting partner. View Profile Njevity is a Microsoft Gold Certified Partner and Tier-1 Cloud Service Provider focused on Microsoft Dynamics GP (Great Plains) and Dynamics 365 Sales and Service solutions. Njevity provides cloud solutions through PowerGP Online, built on Microsoft Dynamics GP and powered by the Microsoft Azure Cloud. View Profile WatServ is one of the largest, most experienced providers of Cloud Computing solutions for the expert operational management for hosted Microsoft Dynamics and the inter-operability of these systems with SharePoint, Exchange, Blackberry and most third party products. View Profile asiCloud is a flexible, predictable hosting provider. We offer IaaS or SaaS Dynamics hosting to partners or customers. We can get you up and running quickly and easily. We will work with you to make sure our solution fits your needs, and not force your needs to fit our solution. With our SOC 2 Type II data center you can rest assured that your data is safe and secure. View Profile RSM US LLP is a full service, SOC 2 Type II compliant private cloud provider that offers dedicated systems for clients that purchase GP, SL, AX, CRM or SharePoint licensing or wish to have monthly SPLA licensing. RSM US LLP can provide your company with one point of contact for all of your cloud needs. View Profile With hosted Microsoft Dynamics solutions you get the functionality you require, the flexibility you need, at a price you can afford. View Profile Microsoft Dynamics GP, SL, and NAV can be used with the freedom of TMC’s Azure Cloud. Here are five advantages of having Microsoft Dynamics hosted on the Azure cloud. 1) Microsoft Azure is easy to integrate with other Business Applications. 2) Reduces expenses. 3) Greater mobility. 4) Faster Implementation of Microsoft Dynamics. 5) Flexibility. View Profile Turnkey Technologies offers best-in-class hosting services for our clients that purchase GP, AX, CRM or Lync licensing and much more. View Profile WebSan Solutions is the premier Canadian provider of Cloud Dynamics GP. View Profile BroadPoint, the largest Dynamics GP partner in the mid-Atlantic, offers cloud hosting services for your Dynamics GP solution. View Profile Simple Dynamics GP Cloud offer for new and existing GP customers. Starting at $124 per month. View Profile Microsoft Dynamics AX in an Always Available on a True Cloud model. View Profile Tensoft has been providing hosting services for Microsoft Dynamics GP since 2001. The company was among the earliest adopters of Microsoft’s subscription (SaaS) pricing for Microsoft Dynamics, making Tensoft one of the most experienced providers around today. 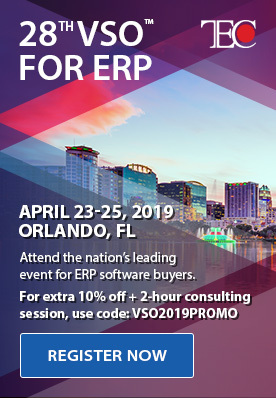 Note: The partners in this directory have proven experience with at least 5 active Dynamics ERP clients in a hosted/cloud environment.